Who doesn’t love the combination of chocolate and caramel? 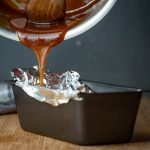 This tutorial breaks down how to make caramel bars from scratch into 12 simple steps. 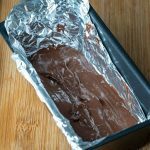 With a few simple ingredients like hazelnuts, chocolate, heavy cream, and butter this chocolate caramel bars recipe will show you how to make delicious candy right in your own kitchen. 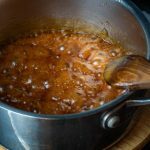 Worried about making caramel from scratch? 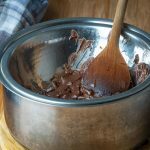 This recipe explains precisely how to cook the sugar and when to add the butter and cream. The bars take a couple hours to set, but once they are done, you will have nutty, rich caramel bars your whole family will love. 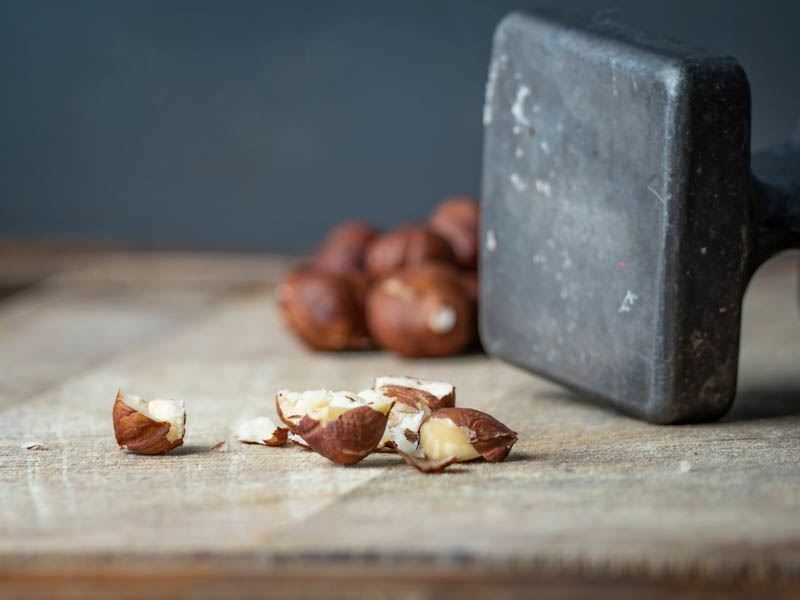 Chop the hazelnuts in small pieces with the mallet. 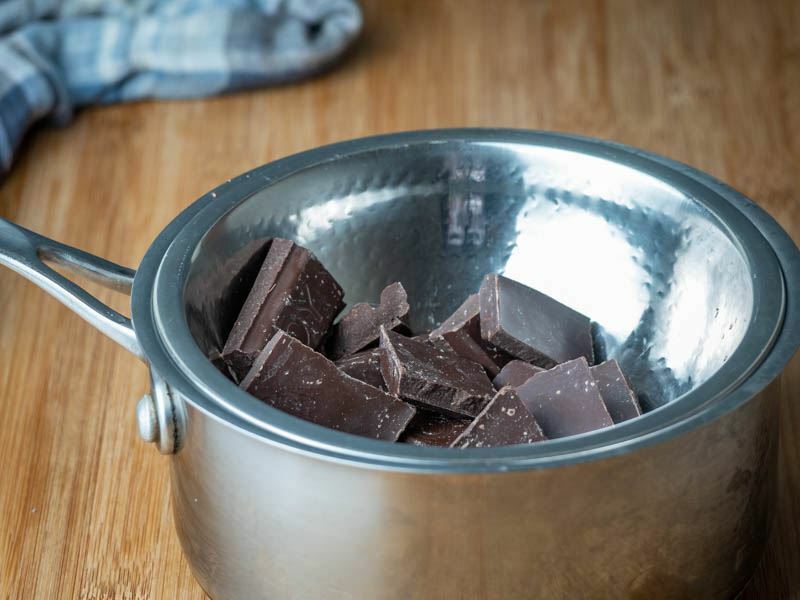 Place the chocolate in a metal bowl and over a pot with boiling water (to melt using a double-boiler style). 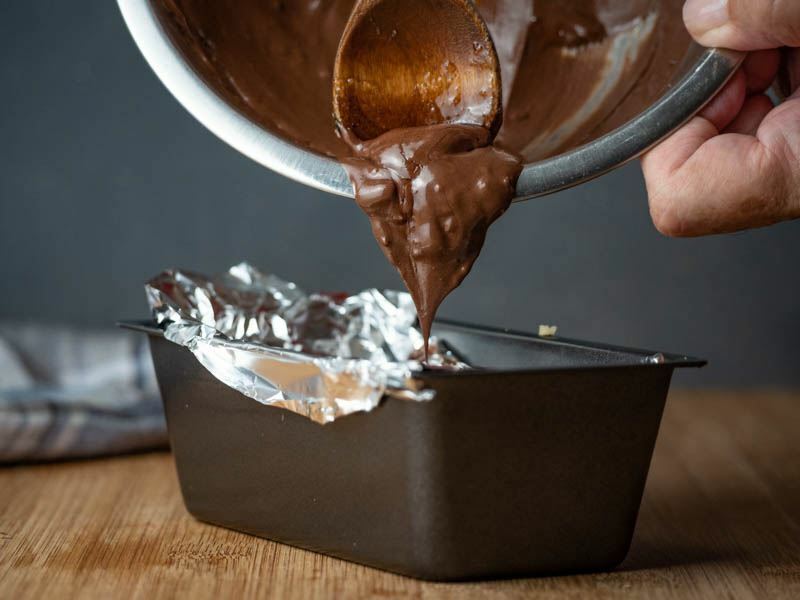 When the chocolate is melted, reserve but keep warm (you can lower the heat and keep it in the same pot until it’s time to serve in the mold). 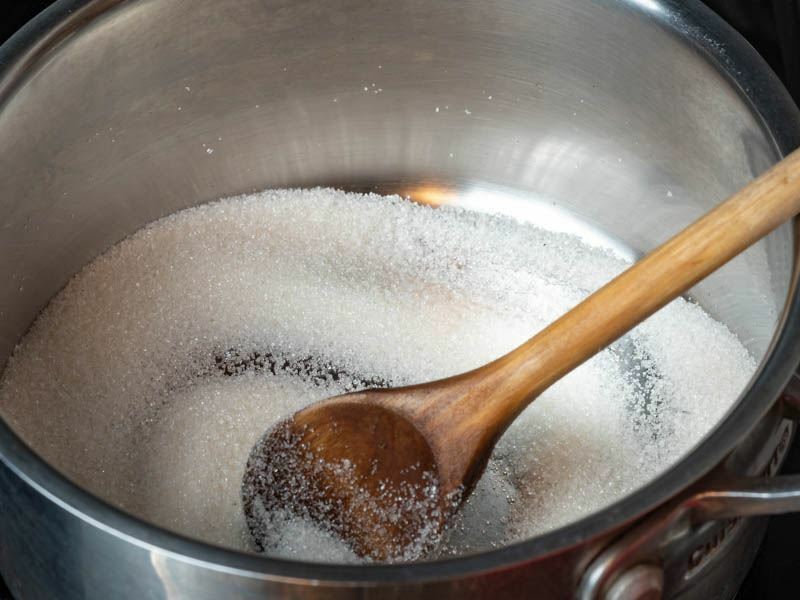 Place the sugar in a deep pot. 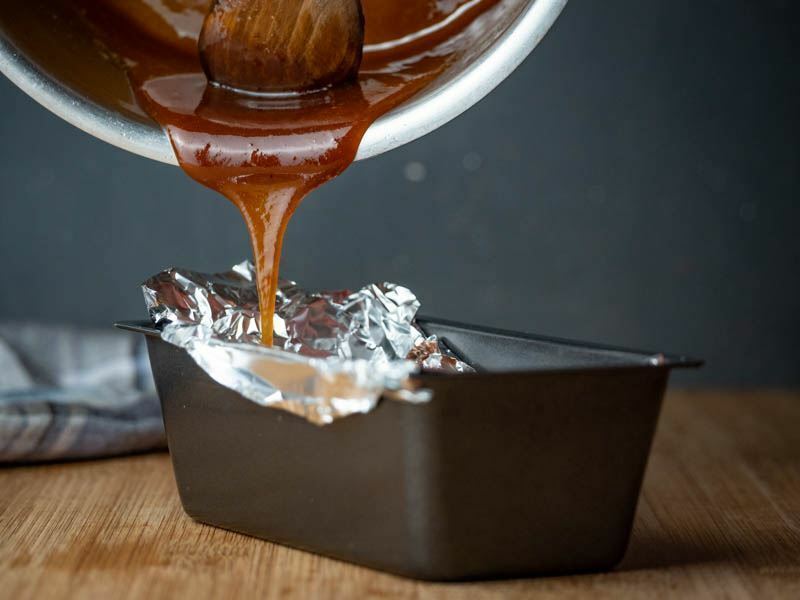 When making caramel, do not use a metal spoon. 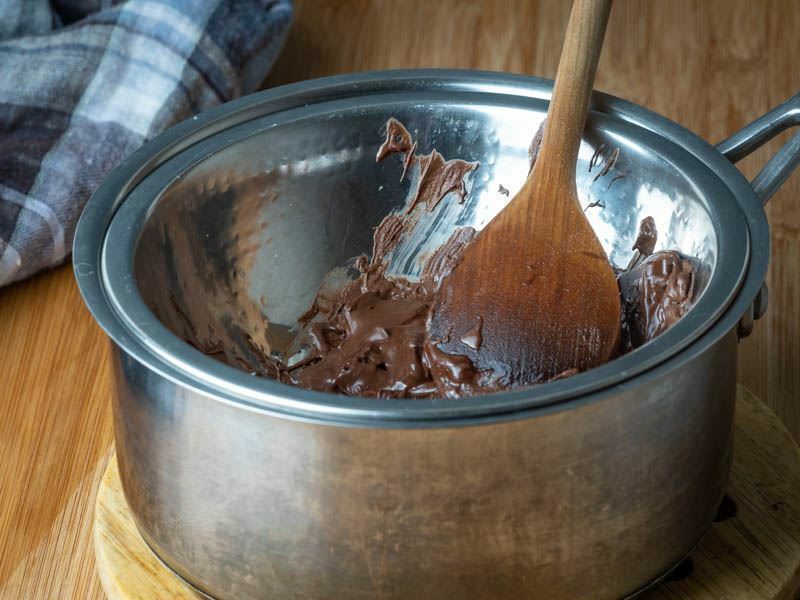 Opt for a clean, wooden or silicone spoon to prevent crystallization. 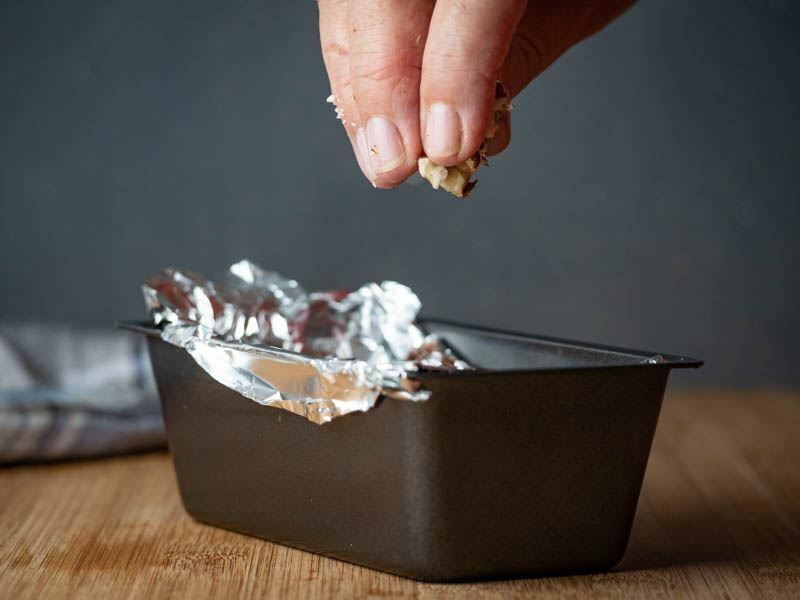 Any debris in the pot or on the utensil could also cause the caramel to crystallize so make sure they are very clean. 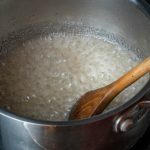 Add the water and lemon juice and heat slowly over medium heat until boiling. Give it an initial stir, and then stop stirring! Do not mix anymore as this can promote crystallization. You can, however, gently swirl the pot to brown the sugar evenly. 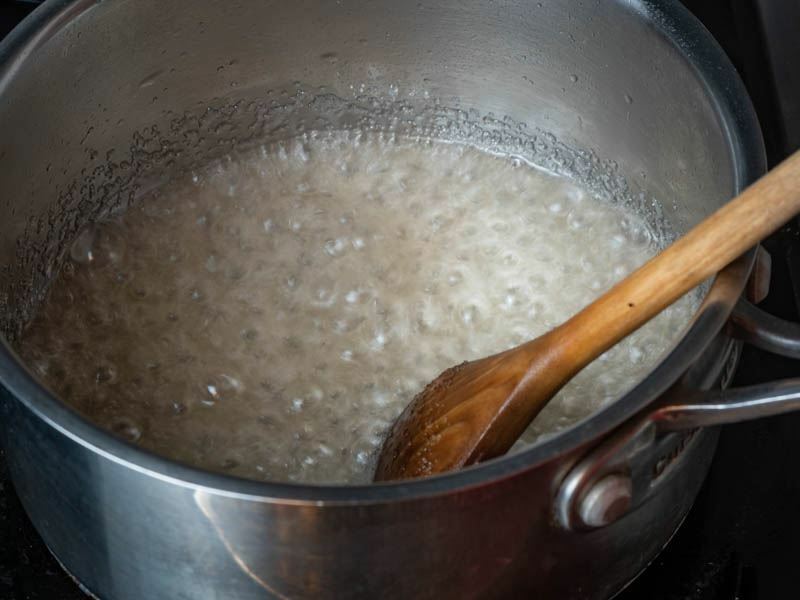 Once the water evaporates, the sugar will begin to caramelize. 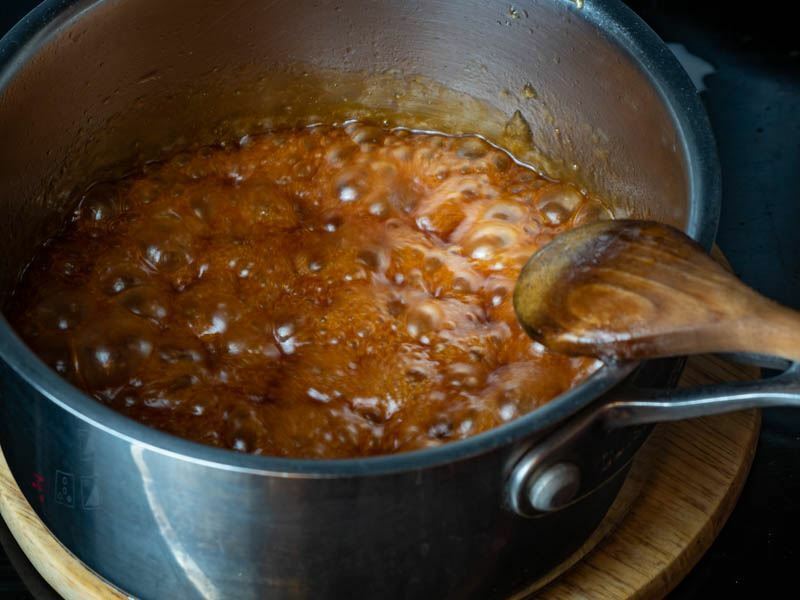 Once it begins to brown (you have to be very vigilant as this happens very suddenly), remove from heat carefully and add the butter and heavy cream. Now you can stir until soft. It will bubble and foam at first. 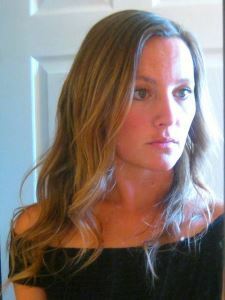 Do not feel discouraged if it didn't turn out for you on your first attempt. It took me 4 tries to get it right the first time I ever made caramel! 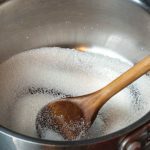 If it does happen to crystallize, you can try to fix the caramel by adding 1/4 cup of water back to the pot and start the process of heating to a boil again. 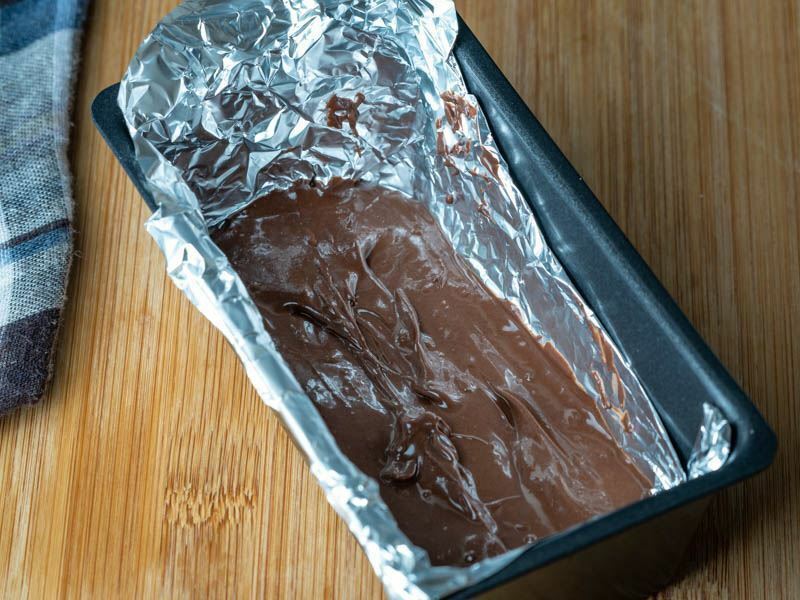 Cover a small loaf pan with foil and add half of the chocolate. Add the caramel to the pan. Sprinkle with half of the chopped hazelnuts. Add the rest of the chocolate. 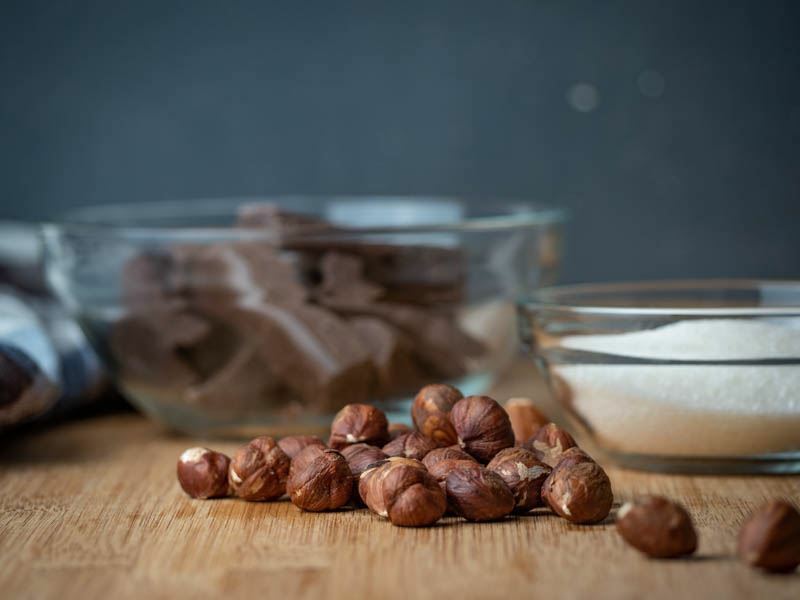 Sprinkle the rest of the hazelnuts on top and let it cool (for at least 2 hours or until the chocolate is hard). When it’s cool, cut in big pieces and serve. Are you surprised by how easy that was? 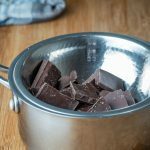 The hardest part of this recipe is having to wait the two hours to let the chocolate and caramel set before getting to taste them! 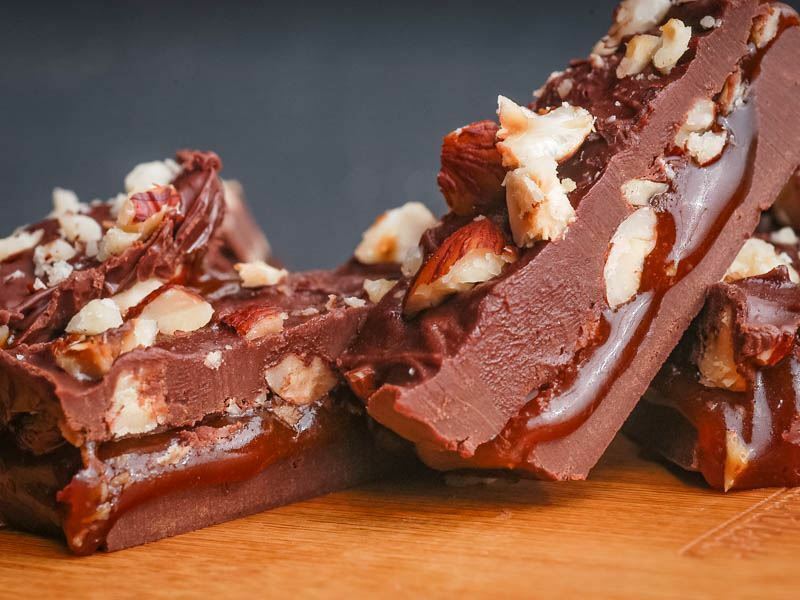 You don’t even need a candy thermometer to follow this chocolate caramel bars recipe. 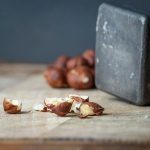 The hazelnuts add just the crunchy touch this recipe needs. 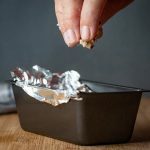 These bars are great for the holidays or any time you feel like surprising your friends and family with a sweet treat. Did you try to make the recipe? Let us know what you think about it. Who doesn’t love the combination of chocolate and caramel? 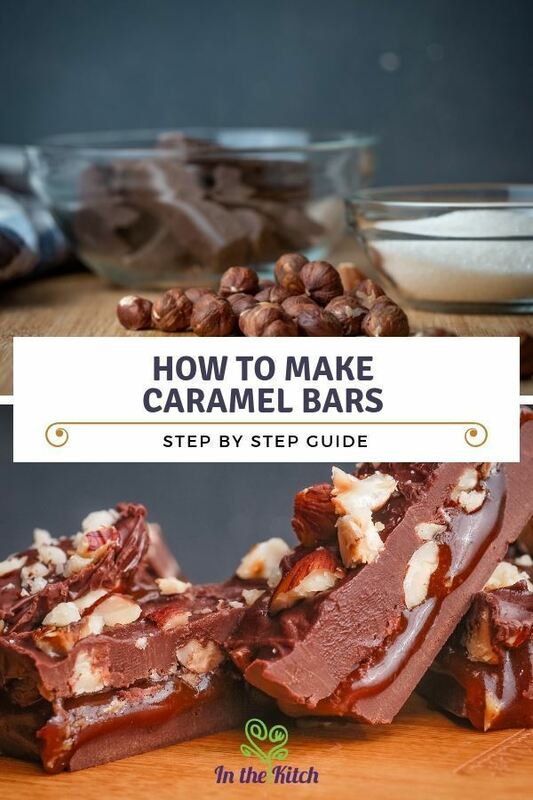 This tutorial breaks down how to make caramel bars from scratch into 12 simple steps. 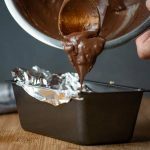 With a few simple ingredients like hazelnuts, chocolate, heavy cream, and butter this chocolate caramel bars recipe will show you how to make delicious candy right in your own kitchen.